Scotia, New York native Mark Supley and a friend planned to cycle the entire Erie Canalway Trail during the summer of 2013 to conduct research on a combination history and guidebook that his friend planned to publish. 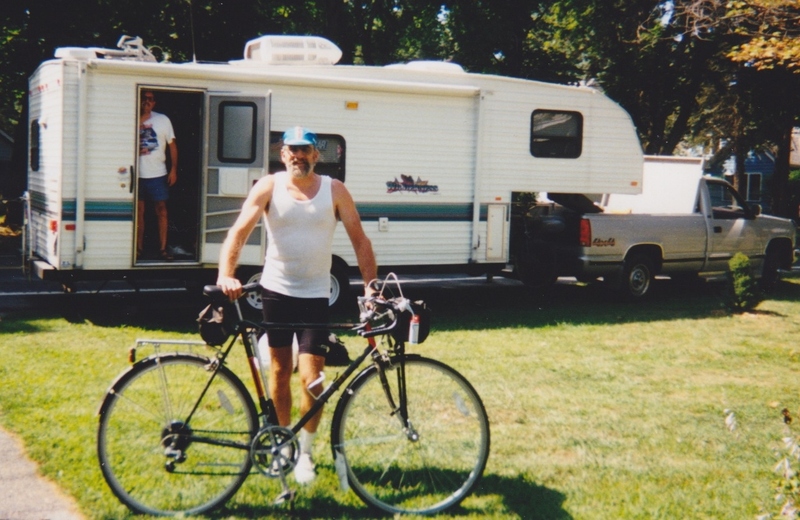 After Mark’s cycling companion had to cancel at the last minute, another one of Mark’s friends agreed to accompany him in an RV. Mark stopped at the old locks and local museums to learn more about the history of the Canal. Along the way, he met folks from all over the world, including a couple from Auckland New Zealand. “Accidental detours added to the adventure,” said Mark. At one detour near Rome, he ended up inside the grounds of Erie Canal Village cycling among interpreters in period costume. “You should have seen the faces of the ticket takers when I came through the gate the wrong way with my bike loaded with camera gear,” Mark laughed. “The Canalway Trail had a lot to see. I hope to go again,” he said. Mark suggests that future End-to-Enders take it slow and give themselves plenty of time to absorb all the history the Canalway Trail has to offer. 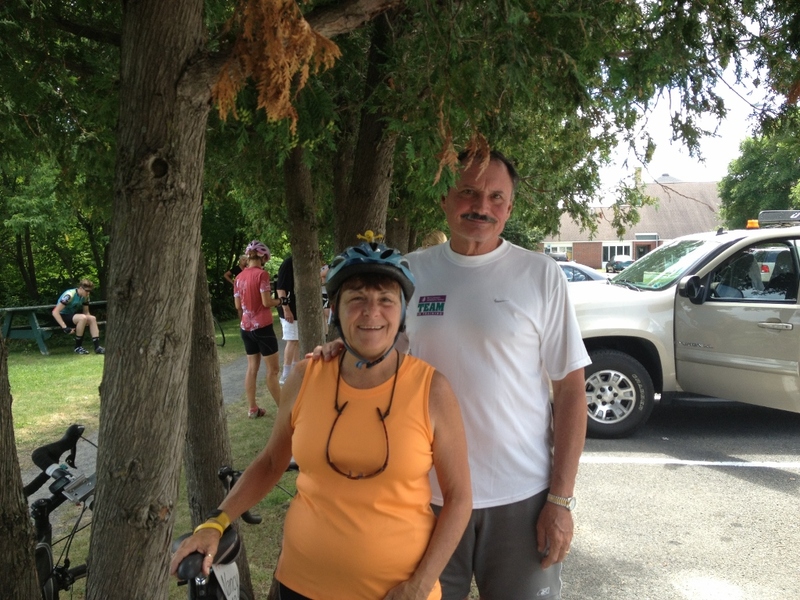 William and Nancy Moses of Midland Park, New Jersey made the most of their summer by bicycling from Niagara Falls to Albany along the Erie Canalway Trail and then through Hudson Valley all the way home! They used their 13-day, 560-mile trip at the end of June to train for their fourth Pennsylvania Perimeter Ride Against Cancer in July in honor of their son Jason, a cancer survivor. William, who is retired and bicycles every day, came across the Canalway Trail when looking online for bicycle trails. William and Nancy set out on their Trek hybrid bikes, complete with gear in their rear panniers. They stopped in small towns along the trail, ate at local restaurants, and stayed in area hotels. What the pair most enjoyed about their trip were the people they met. For achieving the milestone of becoming the thousandth registered End-to-Ender, the Moses family received an LL Bean gift card. Congratulations Bill and Nancy! Have you traveled the length of the Erie Canalway Trail, on a bicycle or on foot, in one through trip or in segments over a period of time? Join the growing End-to-Ender Honor Roll and register as a Canalway Trail End-to-Ender today!